Chain link fences and gates are an affordable and low-maintenance way to keep your Austin home secure and create property boundaries. A traditional chain link fence is silver in color and made out of galvanized iron. 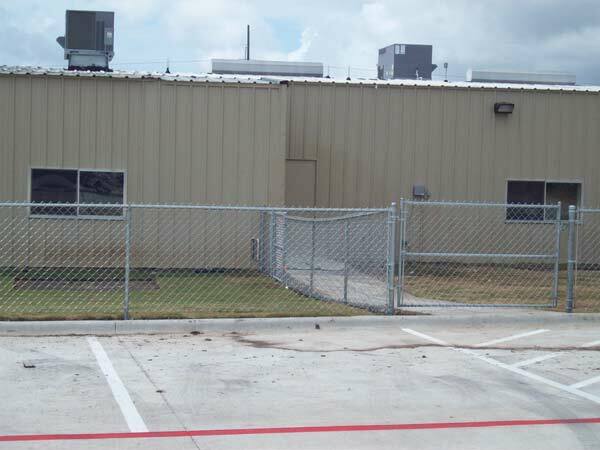 Because of their material, galvanized chain link fences are durable and ensure your investment goes a long way. If you’re not fond of traditional chain link fencing for your home, you can choose to customize the fence to suit your style and needs. You can opt for a colored powder or vinyl coating on the rails, posts, or hardware to match your home’s color scheme. Think about how beautiful a vinyl fence would look perfectly matched to the color of your shutters and siding! In addition to picking a colored-coating for your chain link fence, homeowners can also elect to change the height of their fence. If your goal is merely to create a boundary between your residential property and your neighbor’s, you can choose a shorter fence. On the other hand, you can increase the height of your home’s chain link fence for added protection. Whether you’re looking for a traditional chain link fence or an alternative chain link fence that doesn’t sacrifice style or privacy. Apple Fence Company has the solution for you. Give us a call to discuss your options, or request a free quote to get started on your project today!